God bless you, May You have a Nice Birthday. with much joy and peace as you trust in him. and it will flow out of you by the power of the Holy Spirit. 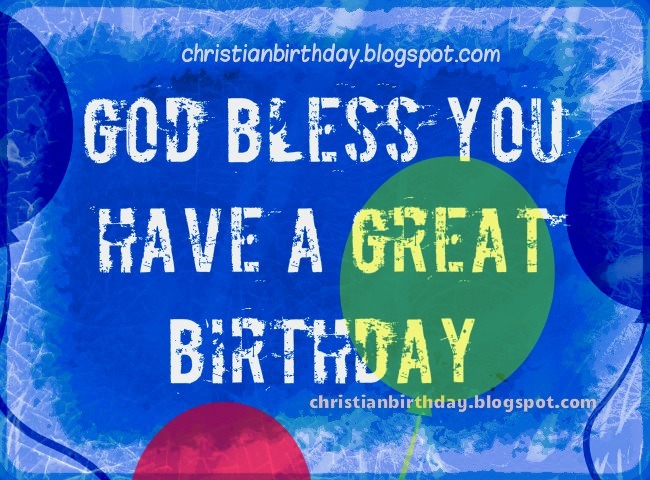 Christian Card God bless you on Birthday. Free cards images for friends, bday, happy birthday to son, daughter, brother, husband, leader, nice day. Free christian quotes.